Yacht Harbor Estates: Newly Appraised and Priced! 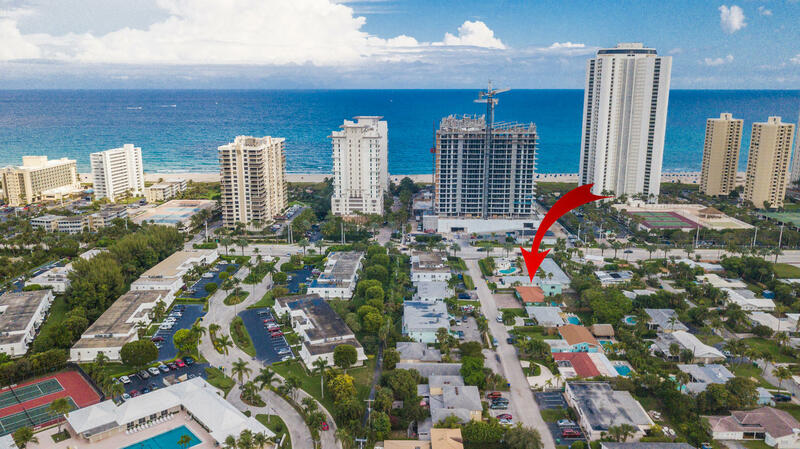 3 lots in from the Atlantic Ocean on beautiful Singer Island... Enjoy Ocean breezes and tropical sunsets from this 4 bedroom, 3.5 bath CBS 'old-Florida' home. Tons of potential! Chic terrazzo floors in main living areas. Newer kitchen w/ stainless appliances. Open spacious floorplan offers abundant natural light. Backyard features large pool with desired South exposure - sunny all day! Perfect for year-round living or vacation rental /investment. Roof 2007. AC 2015. No Homeowners association fees! Zoned Multi-family. Easy walk to shops, restaurants and best beaches. A short drive to PGA Boulevard, upscale Gardens Mall, educational, sport and cultural venues + I-95, turnpike and Palm Beach International airport. A fabulous place to live! Singer Island: WATERFRONT Singer Island Beach Home offers 100 ft of deep water frontage to accommodate a large boat. 3 bedroom 2 bath, with split floor plan, refreshing pool home, 2 car garage and well maintained home is ready for you to come and add your personal touch. . No fixed bridges and minutes to the Palm Beach Inlet. Live the Lifestyle you deserve. Palm Beach Isles: Rare Turning Basin location, unobstructed long and wide view. Spectacular 14' Vaulted Ceilings with exposed wood beams in main living areas perfect Great Room floor plan. Seawall has already been updated. New flat cement tile roof, Natural gas Available, Currently has Solar System, Great location only 900' from Ocean/Beach, beautiful ocean breeze.... Original finishes, ready for you to add your custom finishes. Priced below the 1.2m Appraisal. Palm Beach Isles: Location, Location, Location!!! 100' Deepwater property located on desirable Singer Island. Only three properties from the wide-water intracoastal waterway and located on one of the most desirable streets in all of Singer Island. Beautiful views and immediate intracoastal access make this a must see for any boater with a large yacht, sportfish, cruiser, or multiple boats. Options are endless as the 3-bedroom residence with swimming pool could offer immediate occupancy or be renovated or re-built for the true appreciation of this rare waterfront parcel. No Fixed Bridges and Deep Water dock make this a boater's dream! Palm Beach Isles: This Brand New Construction estate was just completed by award winning builder, Chris Allen Homes. 1200 Bimini Lane sits on an 11,000sq foot lot and is every boater or water enthusiasts dream with 100' of water frontage and can accommodate up to an 80' yacht due to the deep water and width of the channel. Homes on Bimini lane come with deeded access to the beach for your pleasure. Walk through your oversized entry doors and experience true luxury throughout your open floor plan. If you look out your rear sliding glass doors you will look past your pool and vanishing edge spa and you will see the water view that you have been dreaming of. The home features over 4,200sq feet of AC living space and over 6,000sq feet of total living area with 5 bedrooms and 5.5 bathrooms.